At Stuart C Hill Jr., CPA, PLLC, our mission is to protect the rights of taxpayers and put an end to the stress and confusion associated with IRS tax problems. The IRS doesn’t care if they make a mess of your financial and personal life in order to collect their money, but we do. When you turn to us for help with your tax problems, we’ll listen carefully to your concerns and then apply our wealth of tax experience to find a fair resolution. Call us at 817-332-3320 now and tell us about your tax problems. We work with individuals and business owners throughout the Fort Worth, TX area. If you’ve neglected to file your tax returns on time for any reason, don’t put it off any longer. We understand that you may be afraid of owing back taxes and penalties, but you can count on us to minimize your taxes owed and work hard to get penalties reduced if possible. If you’ve received a notice from the IRS about a lien or levy, contact us immediately. 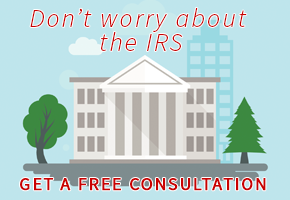 The IRS will often negotiate with tax professionals like us to find a more reasonable solution. We speak their language and know how to come to an agreement that allows you to pay off the tax debt over time. The IRS has the power to take a portion of your weekly paycheck without any consideration to how you’ll pay your bills with the money left over. If the IRS has threatened to garnish your wages or has already implemented a wage levy, contact us for assistance. Even if you think you’ve always filed your taxes correctly, if the IRS has flagged you for an audit you’re probably scared and have lots of questions. Stuart C Hill Jr., CPA, PLLC is happy to answer all your questions and be at your side throughout the process. The penalties associated with unpaid payroll taxes can add up quickly. The IRS is not afraid to take aggressive measures to get their money and could even shut down your business if you wait too long to take action. Before the problem gets this serious, contact us and we’ll find a better solution.